For me this was one of the biggest surprises in recent times. 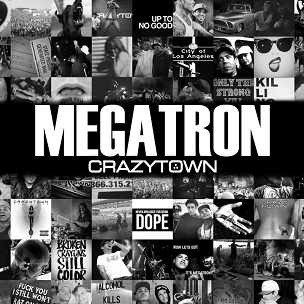 Not that Crazy Town would do a new album nearly 13 years away, but that I’d actually like another song by Crazy Town. “Butterfly” was a great yet silly song back in 2001 and then they practically disappeared. But this is a surprisingly good song by the band. Seriously. If you liked “Butterfly” and like the rap rock tracks and the nu-metal tracks from the early noughties then seriously give it a listen. I actually heard this song from an unlikely source in TNA Wrestling. They changed the theme of the show to this song back in the start of 2015 and liked the sound of it. When I did research on what it was I never expected to find out that it was Crazy Town. So yeah, a welcome surprise and yes, it’s that good for it to be considered in my Top 25 favourite singles of the half decade, for sure. If you missed #25 go here.